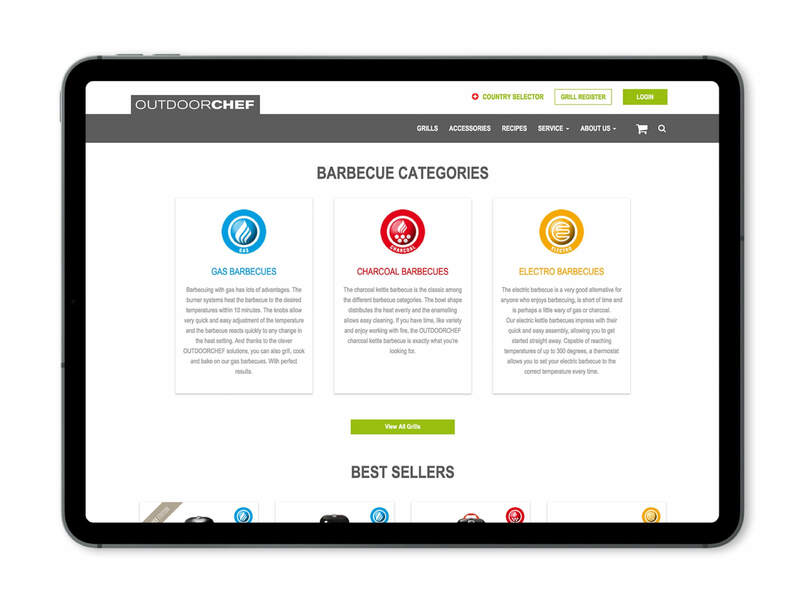 For over 20 years, Outdoorchef has been fueling its passion to add to barbecue culture. 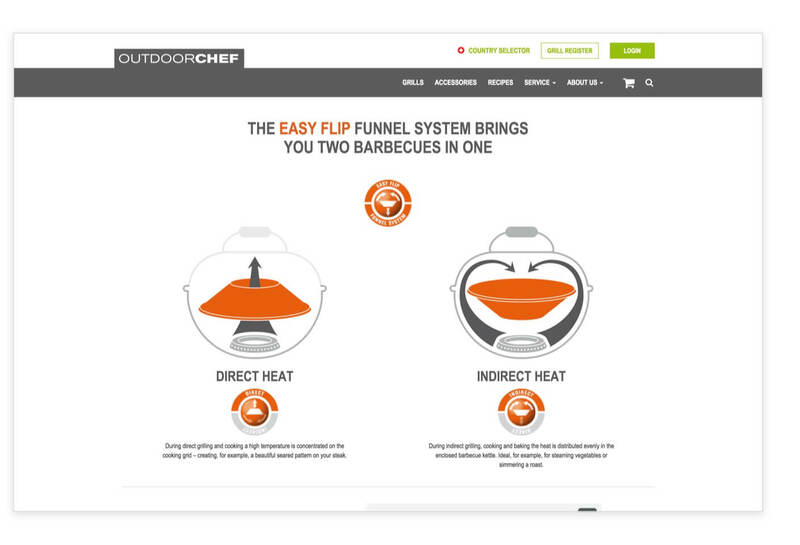 Today, the company dominates the international barbecue market with a complete range of gas, charcoal and electric barbecues all equipped with a unique funnel system. 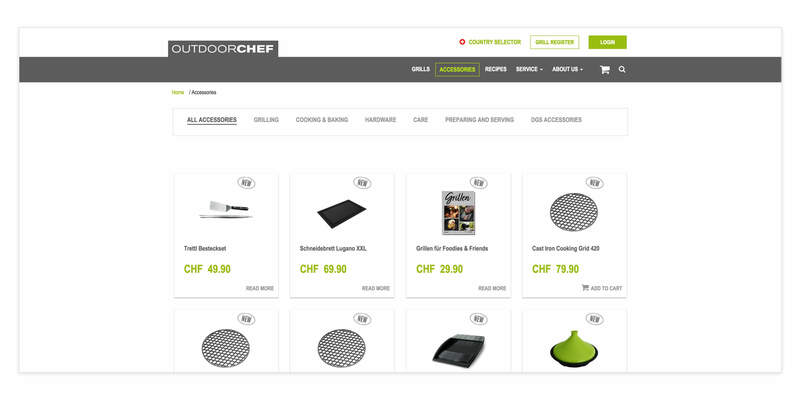 SELISE welcomed the opportunity to enhance the online customer experience for the company. 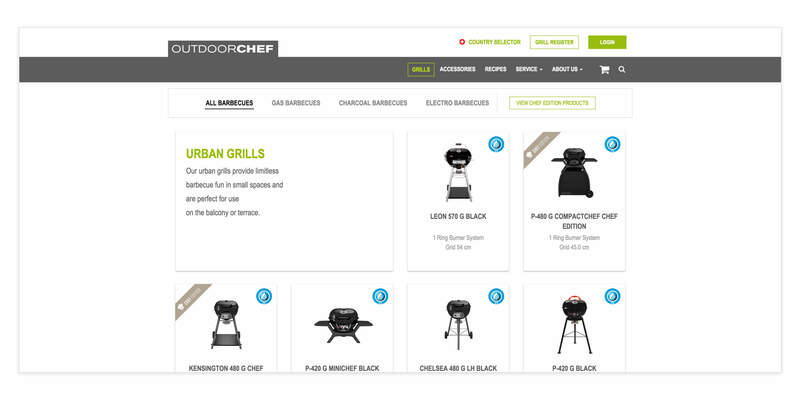 The new Outdoorchef website provides a complete solution for the firm, starting from product information and online ordering, to spare parts catalogues for service partners and a marketing tool that gathers and manages customer data (Newsletter, Grill Registration, Events, Contact Forms and Shop Orders) and makes it actionable for email marketing. 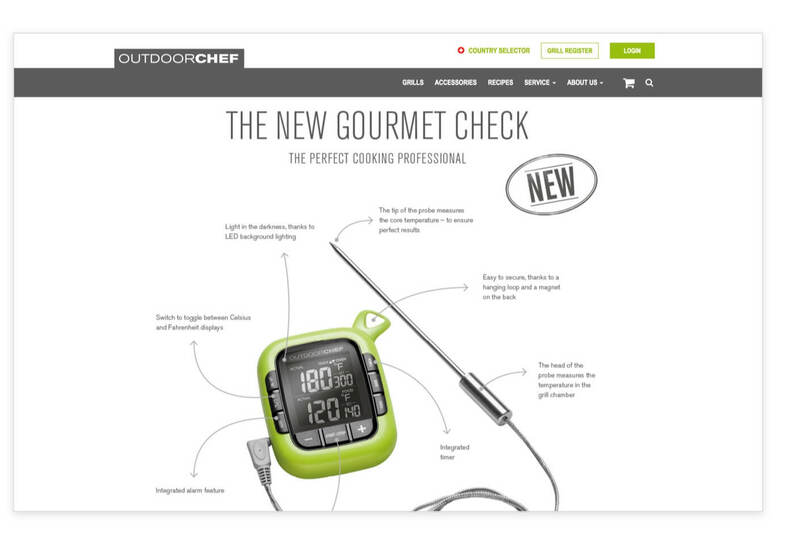 The new Outdoorchef website is now lighter and faster than before, having moved it to an enterprise-grade Wordpress setup. This revamp has enhanced overall user experience for all stakeholders, and added further merit to the website’s features. 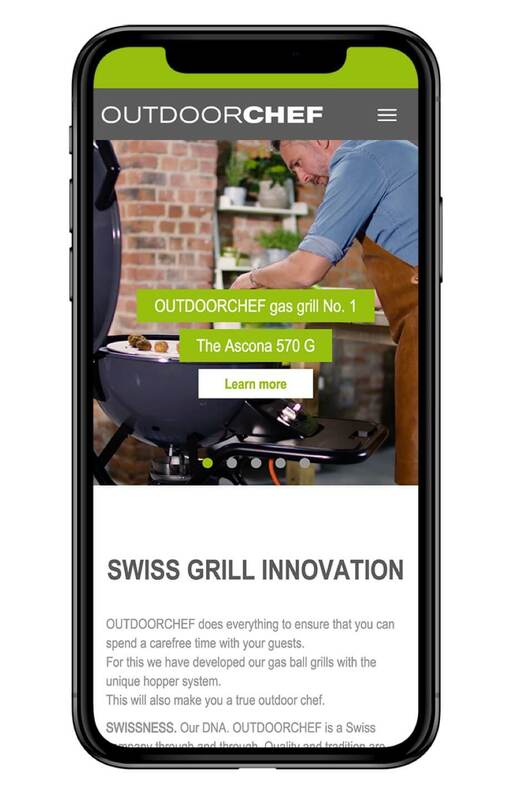 The restructured site now contains 3-4x more design-elements yet loads 15% faster than its predecessor thanks to an adaptive content loading process. 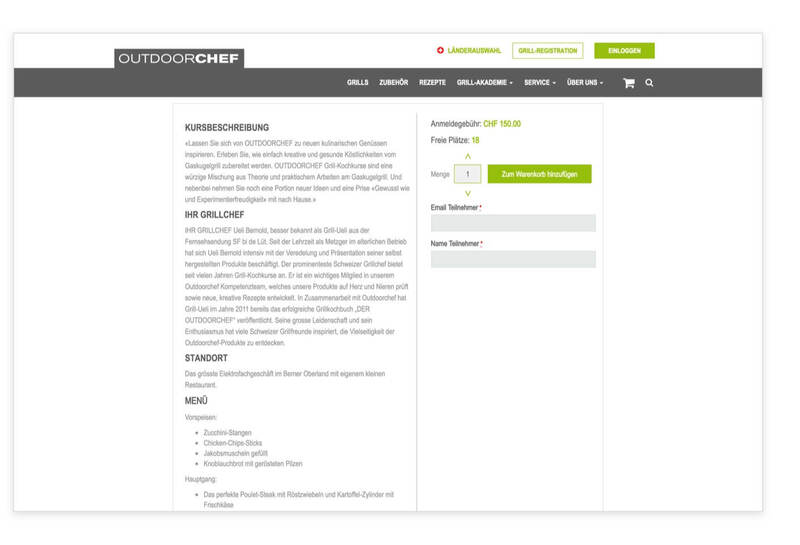 From simple SEO tasks to more challenging ones - we took great measures to ensure that the each component plays their part in making Outdoorchef more visible on digital media. Broken links and 100+ orphan pages have been identified and removed from the previous website structure. 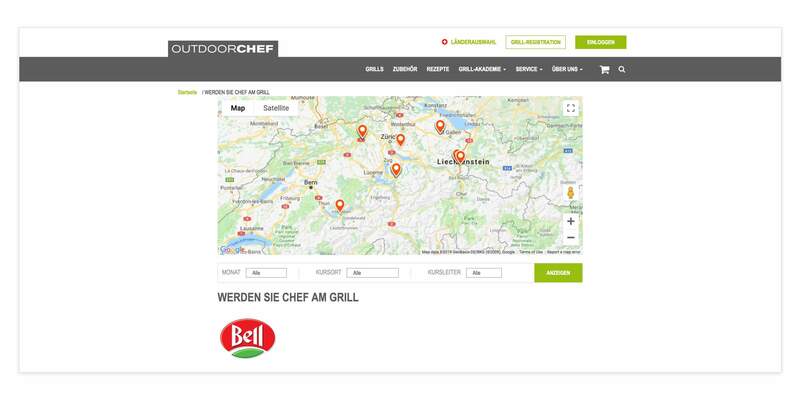 The site has been optimized for local searches and visitors are now redirected to their country based on their location. 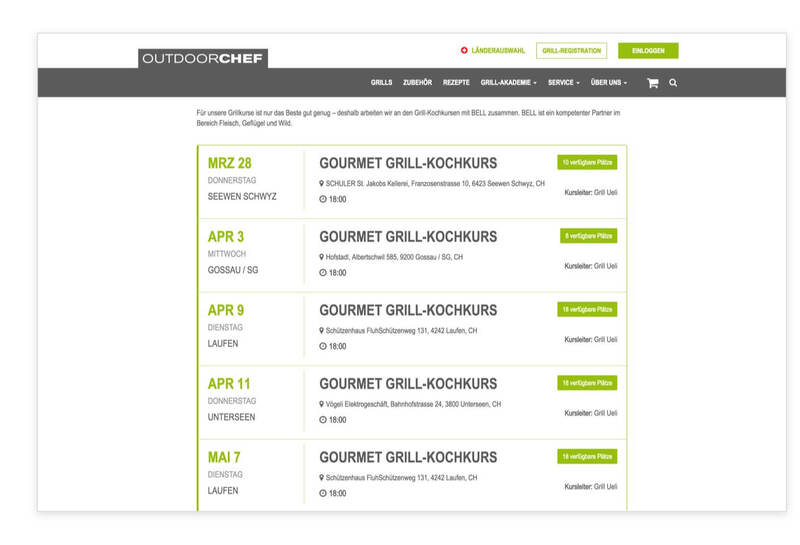 With the new event module, customers can book event tickets in an advanced way - like multi bookings for groups. 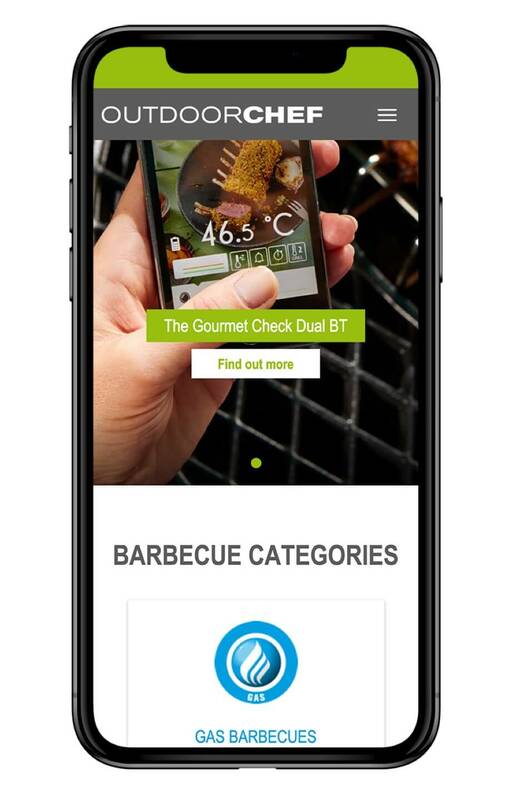 The whole ticketing process is supported by a sophisticated management dashboard. It tracks all automated emails sent by the system, before and after the event, including payment reminders and the like. Ticket sales are now at a record-high. 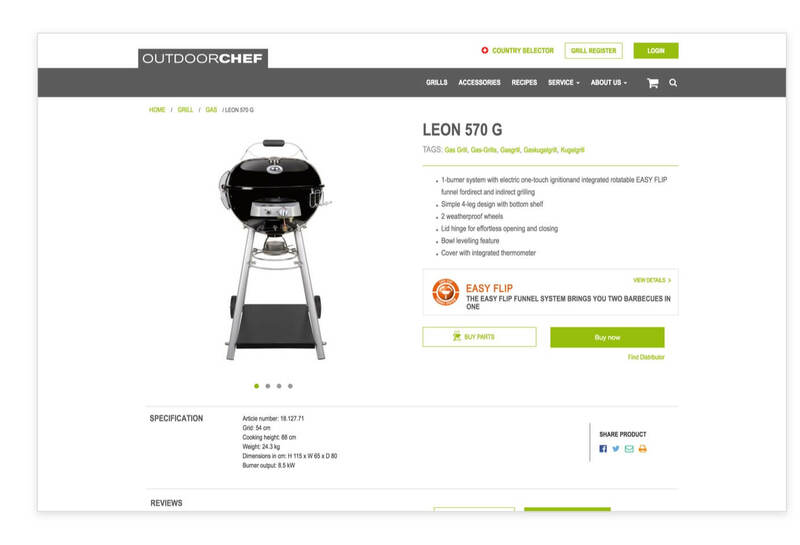 The website features a single product page with all relevant details and purchase options across multiple product systems. 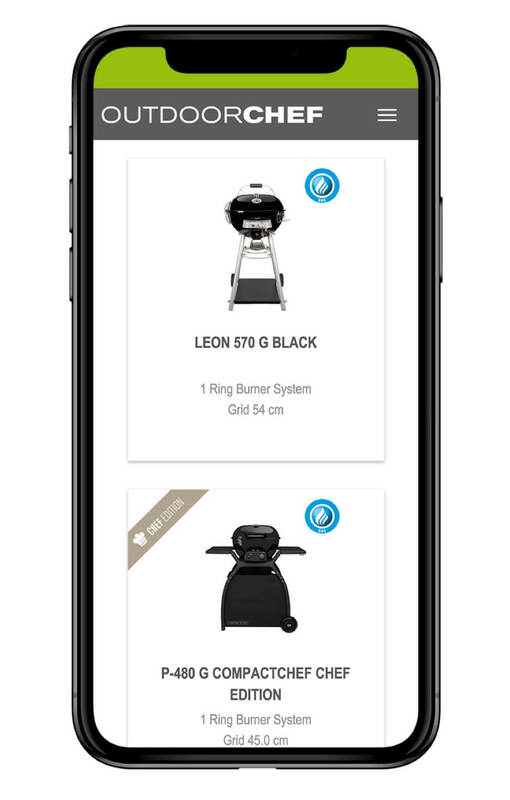 Visitors can now directly buy accessories from the website or locate physical stores from where they can purchase grills and other complementary items. 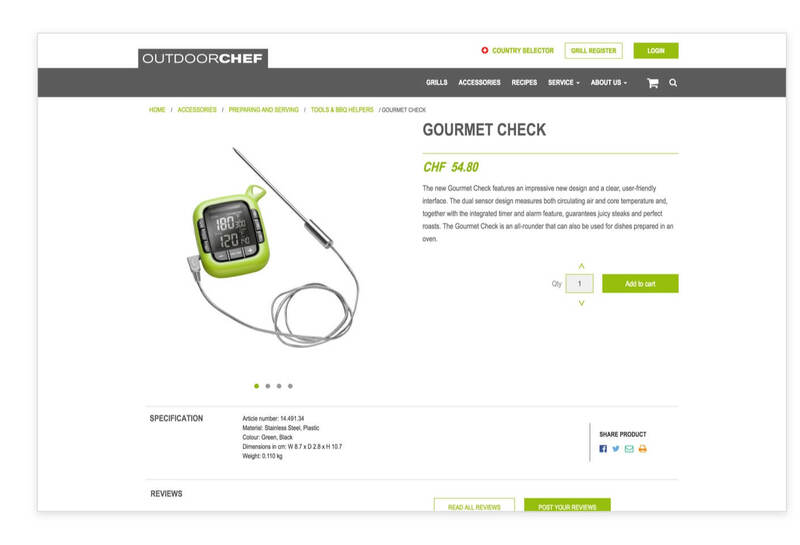 The online shop is automatically synced with SAP. 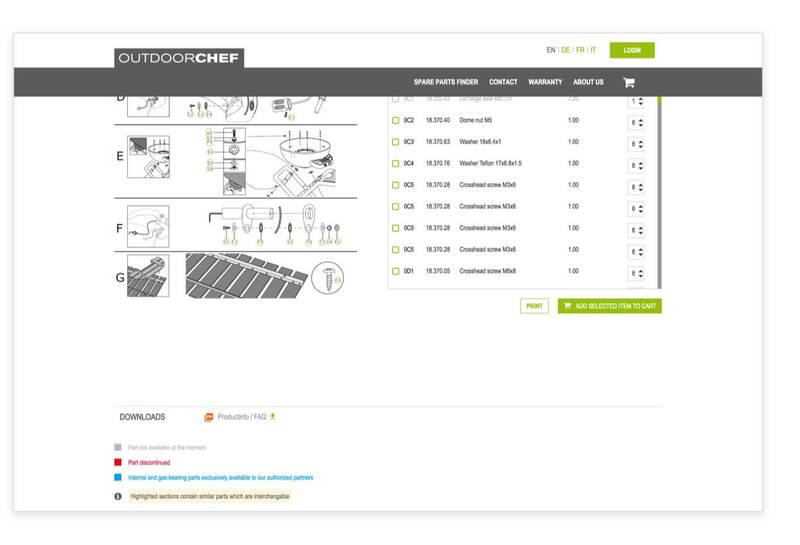 Notable features of this new platform include responsiveness on multiple devices, product stock management connection to SAP and diagrams of all the parts of OutdoorChef’s grills. 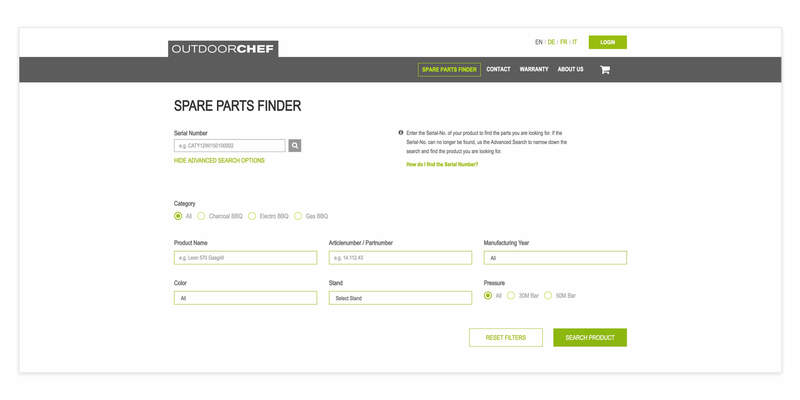 Other touches included building several extensions, the most prominent of which is the search feature. 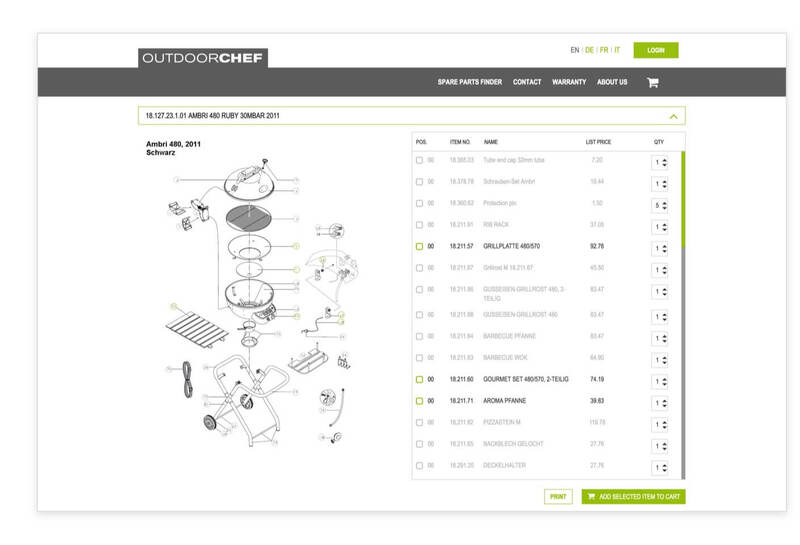 SELISE broke down the algorithm for each product’s unique serial number and added a system which allows all parts and products to be filtered more efficiently. 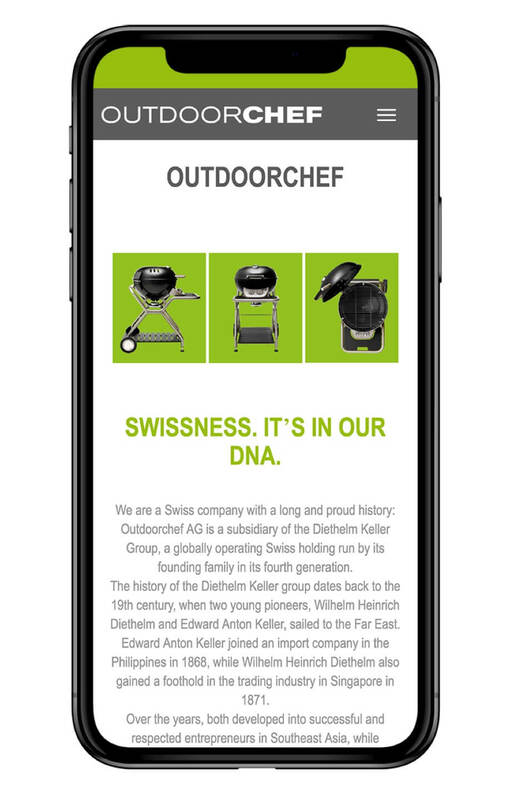 A user friendly backend allows the generation of different management reports.